Molly Alves, a wildlife biologist for the Tulalip Tribe, checks on a beaver that's just finished being measured and tagged. This beaver's life in captivity is short, having just come in that morning. 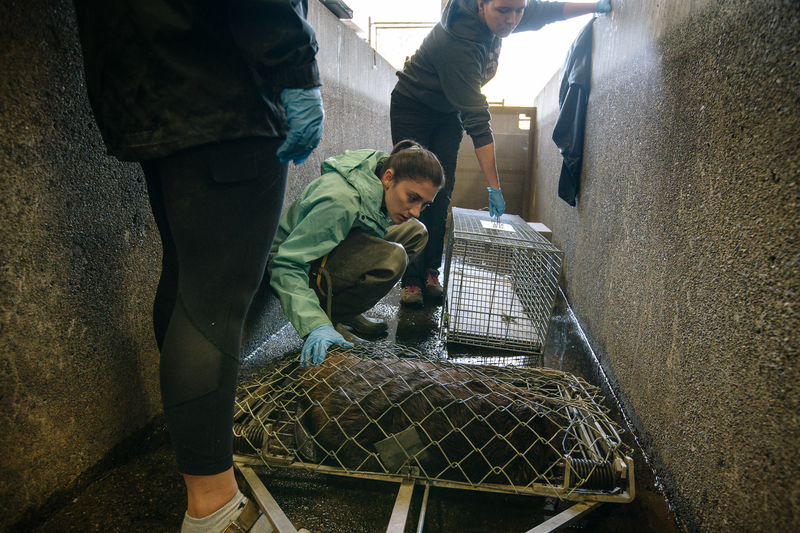 It will be transfered into a Havahart cage and driven with several other beaver to a river location in northern Washington that same morning.